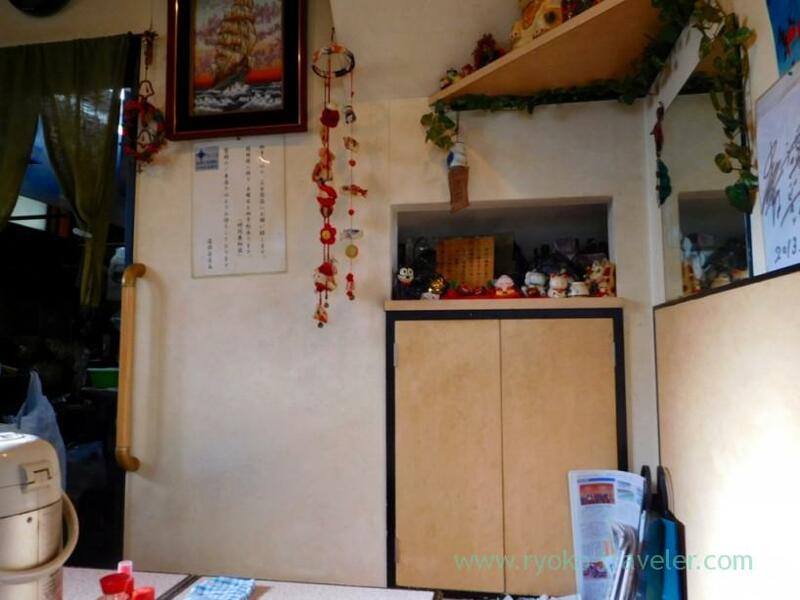 Dourakutei is my best lunch spot in Kachidoki area. Its looking is, yes, private house. They use their ground floor as restaurant. There’s lunch menu outside. It’s hard to understand. Vertical line and horizontal line is written together. There’s no English menu. But they always have same menu, all year around. Second helping of rice is free of charge. It’s hard for fist visitor because the inside couldn’t be seen from outside. But it’s heart-warming restaurant. Two ladies welcome you. 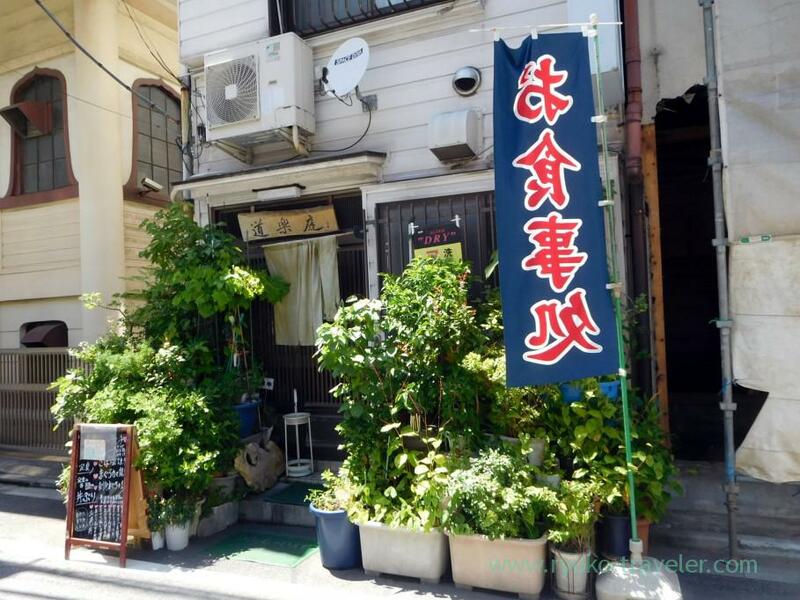 It is located within 5 minutes walk from Kachidoki station. Back streets of Kachidoki still has the scenery reminiscent of the old days. So, I recommend you walk around this area when you visit Tsukiji or Ginza. There’s a menu inside, too. 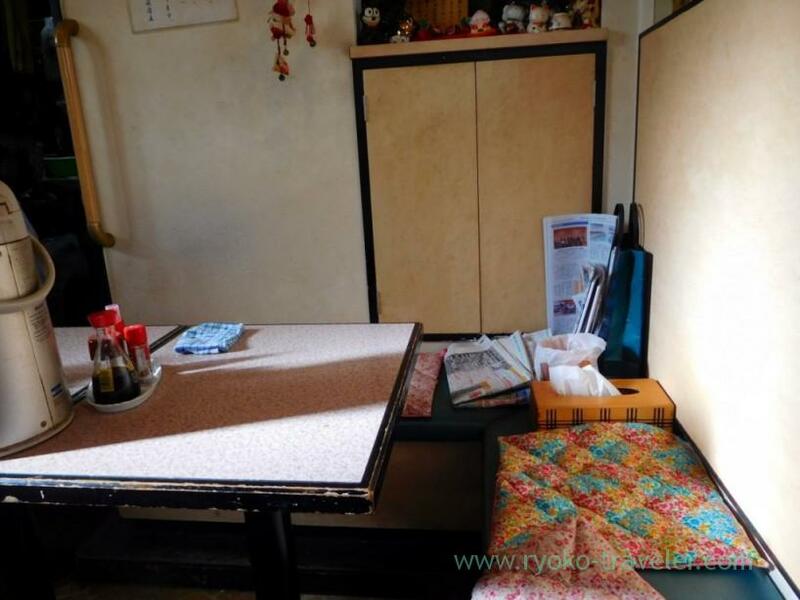 Dourakutei’s interior is… excellent. Though it’s a small house, I feel comfortable. Mostly I go to there around 1 p.m., there aren’t many people in the house. Dourakutei is far from big office buildings. There’re only 4 tables for 4 persons each. 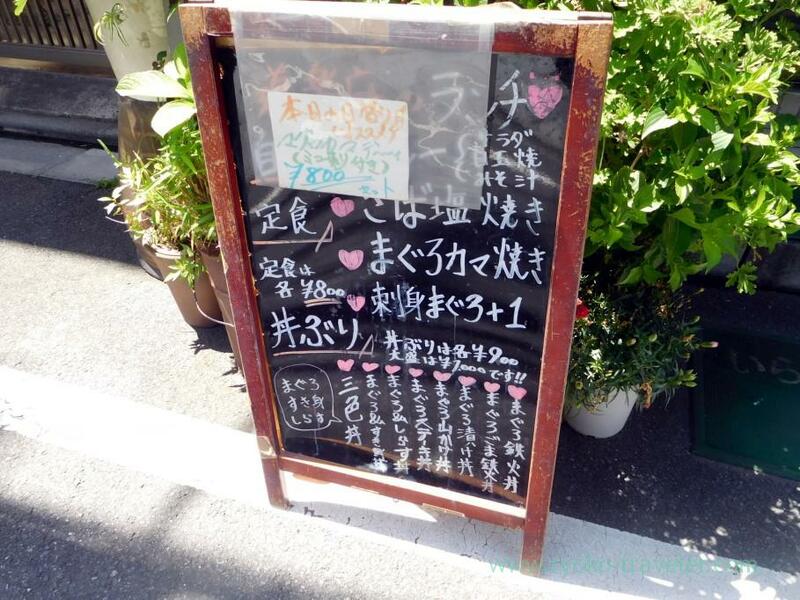 The best choice of Dourakutei’s lunch is it. 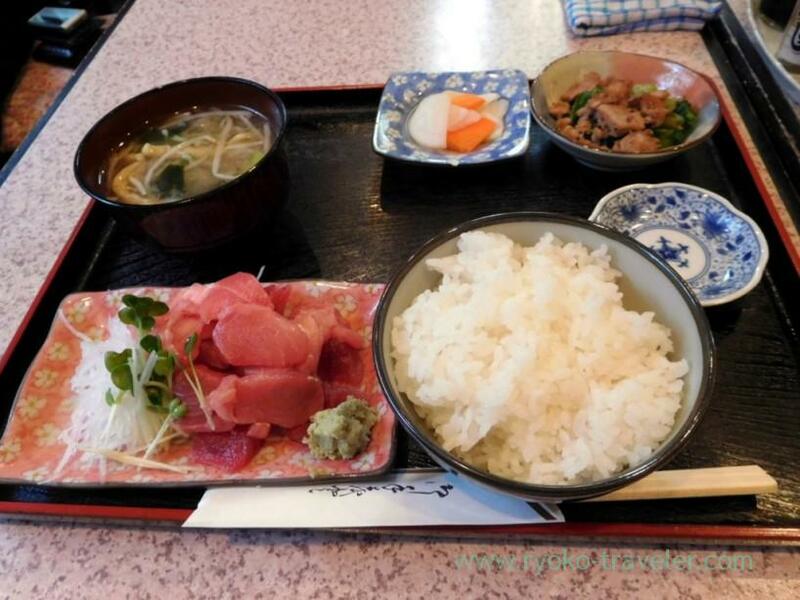 It have grilled collar of tuna, tuna sashimi, small dish, pickles, rice and miso soup. At first, everything except grilled collar of tuna was served. So, I started to eat. Tuna sashimi. So many ! Though it’s frozen meat, it is enough tasty. I ate much of rice with only this. After a while, the collar of tuna was served. 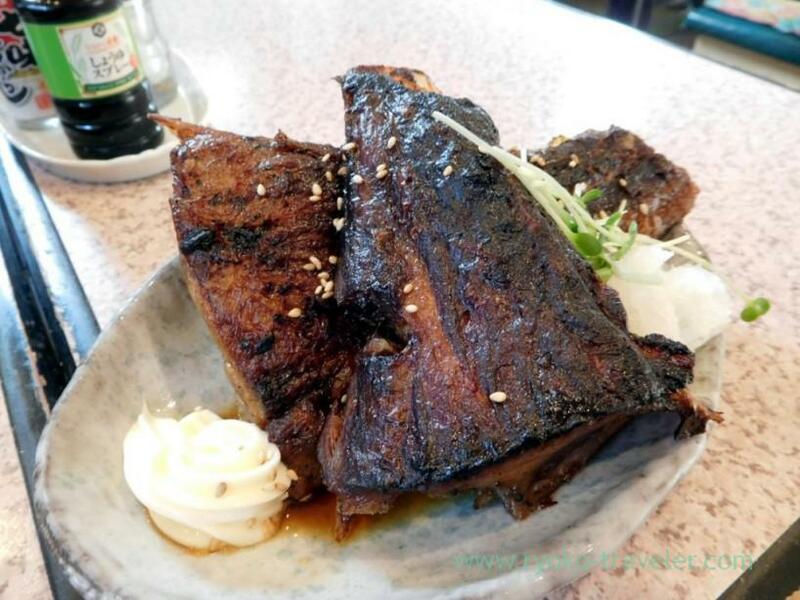 The collar was lightly seasoned with soy sauce. It have much meat. It’s so valuable lunch, so I always order it when I visit Dourakutei. The collar was so juicy and tasty. Of course, it is good without anything, but grated daikon radish and mayonnaise is prepared. So, you can enjoy some tastes ! And there’s shichimi peper on each table ! 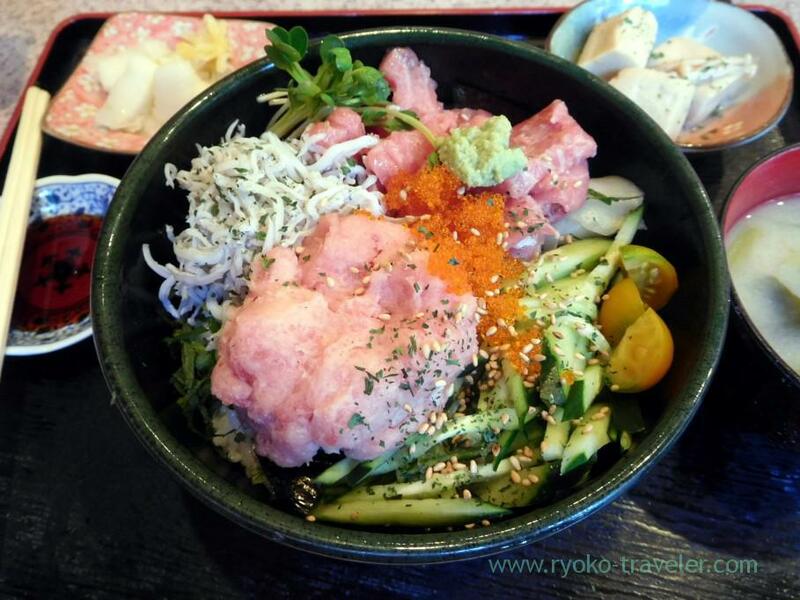 There’re several species of sashimi bowl on the menu. And I sometimes eat this three-color sashimi bowl (三色丼, 900 yen) among them. tuna, left-over flesh on the spine of tuna (= nakaochi) and boiled young sardines. Also flying fish roe. Ah, four colors ? As well as grilled collar of tuna set, it have small dish, pickles and miso soup. Of course, it have much seafood, and, cucumber, small tomatoes soybean sprouts and shiso. Nutritious. Originally, it have quail’s yolk on it. But they apologized. Quails’ egg was out of stock. This is tuna steak bowl (まぐろステーキ丼, 900 yen). 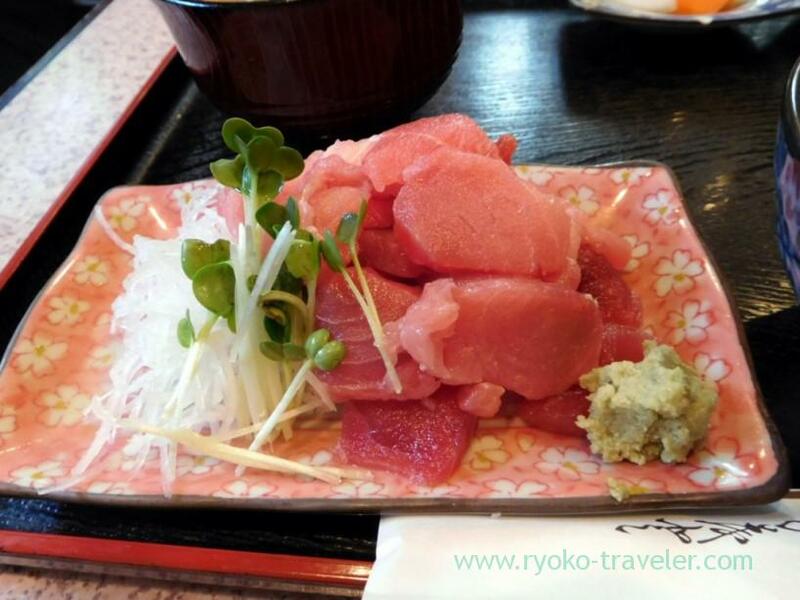 Grilled tuna seasoned with soy sauce-based sweet sauce. Red thing is small tomato. Tuna was soft. 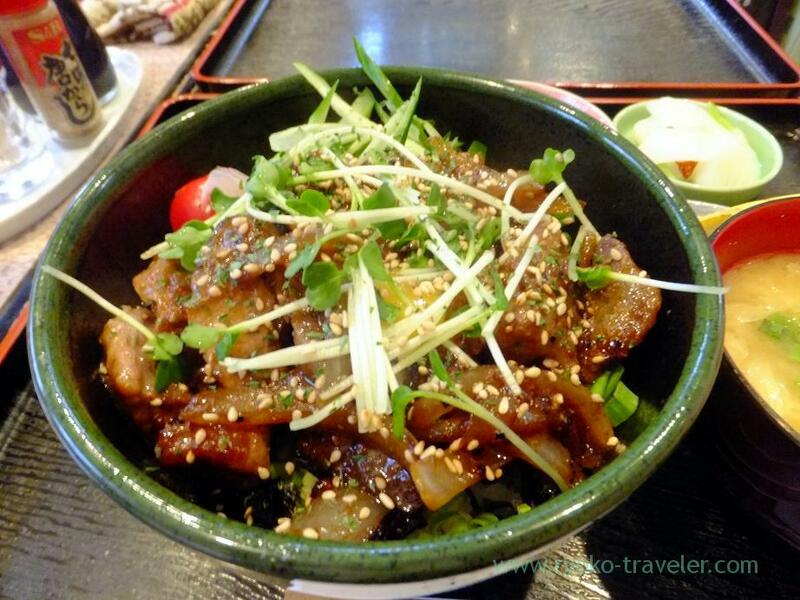 Its sauce had a thick taste, but daikon sprouts kept mouth fresh. It is only my dissatisfaction at the shop. Open / 11:30 a.m. – 2 p.m., 5 p.m. – 10 p.m.